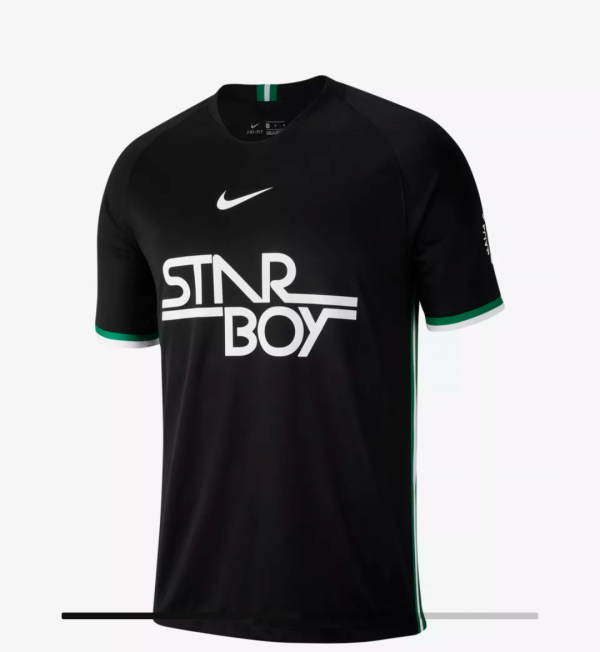 Wizkid teased the public with his Starboy jerseys, a collaborative effort between the singer and sports company, Nike. Already Super Eagles stars like kelechi Iheanacho, and Oghenekaro Etebo have been spotted rocking the jersey. Now the clothes will be officially released in stores on September 10. The colours of Nigeria proudly embellish the sleeves and the name of his starting place and hometown, Surulere, shines on the reverse. The shirt is finished with a centrally placed Nike Swoosh, complementing his iconic Starboy graphic below. When Nike unveiled the Super Eagle's World Cup kit in February, Wizkid was one of the people who helped come up with the design, and now he has collaborated with Nike to come up with his own version. This deal will make Wizkid the first African artiste to have his own official jersey.